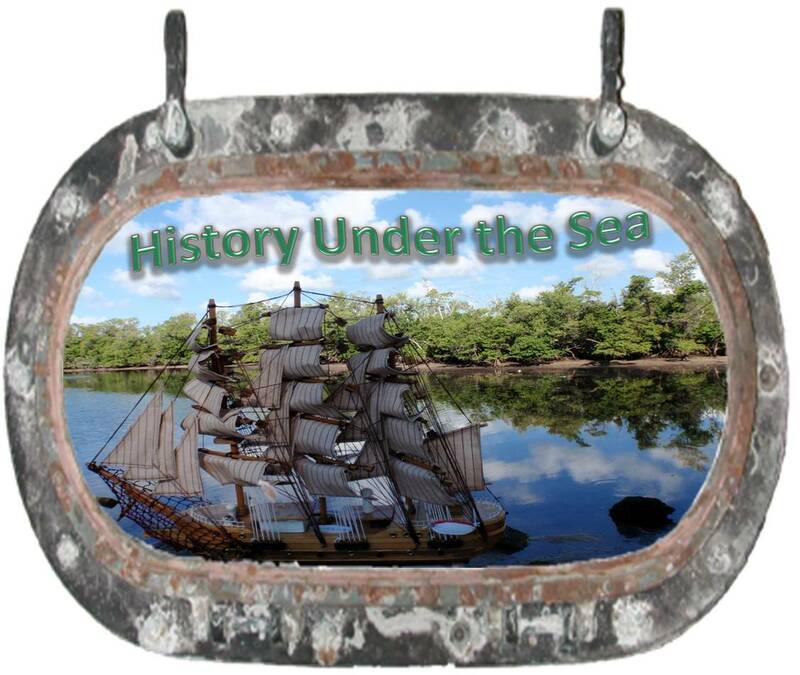 Come look through the porthole of history during this History Under the Sea-An Expedition of Underwater Archaeology to Promote Sustainability Program! The program also has a field component upon request and is appropriate for grades 3-College. 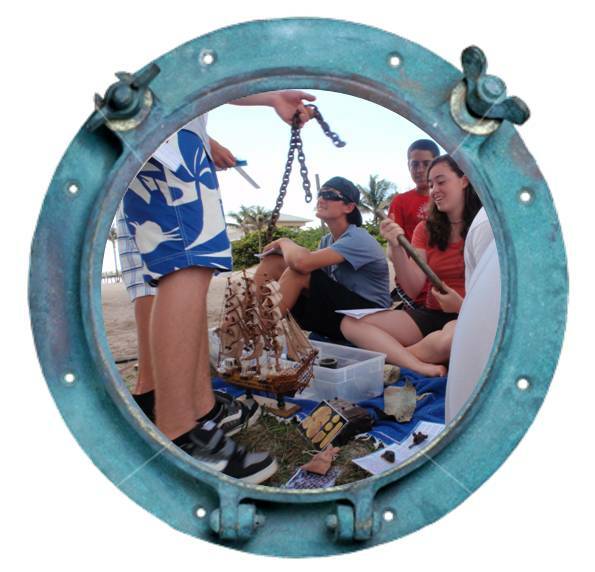 Hands-on exploration teaches Florida history through the science of underwater archaeology; from prehistoric Native Americans to Spanish explorers and Pirates of the Caribbean. 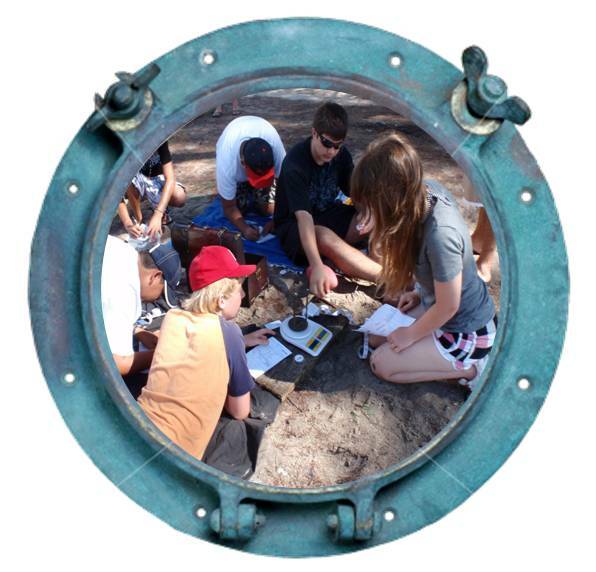 Students will embark on an inquiry based journey designed to utilize practical archaeology methods to discover Florida’s diverse past, math, social studies and science. The program not only teaches the scientific method and practical techniques, but it also emphasizes how interrelated social studies, math and science are in the real world. It demonstrates the importance of learning the various subjects by applying them to the discipline of underwater archaeology. By learning about the past, students will discover means used to live a sustainable lifestyle, ideas which can be applied today! The Cost is dependent on if the trip is in-school or on the beach. In-school is $6.00/Student with a $120.00 minimum per day.